Durch kompromissloses Design, hochwertige Verarbeitung und einzigartige Klangeigenschaften wurden DPA-Mikrofone wie das 4006 oder 4011 weltweit zur ersten Wahl für Toningenieure. Mit Einführung der d:dicate-Serie verbindet DPA diese Eigenschaften mit der Flexibilität austauschbarer Mikrofonkapseln. Das 4017 ist in verschiedenen Ausstattungs-Varianten erhältlich. Der Standardartikel ist das 4017B. Daneben gibt es das 4017B-R mit Rycote Windschutz, das 4017C mit dem kompakten Speiseteil MMP-C, das 4017C-R mit kompaktem Speiseteil und Rycote Windschutz-Set sowie das 4017E mit Aktivkabel. At just 210 mm (8.3 in) and 68 g (2.4 oz), this mic is one of the shortest and lightest shotgun condenser microphones available. At the same time, it offers impressive accuracy, clarity and musicality. The mic is fully immune to RF emission and the 19 mm (0.75 in) condenser cartridge is capable of handling peak SPLs of 152 dB before clipping. Designed for a broad range of applications, the d:dicate™ Microphones Series is ideal for use with camera systems, in fixed positions at sports facilities, for broadcast/ENG/film booming and even studio recording environments. The d:dicate™ 4017B Shotgun Microphone is equipped with a highly-directional hypercardioid pickup pattern; obtained using a supercardioid design with an interference tube that provides excellent off-axis rejection. Its unique directional pattern is useful when you need exceptionally high directivity with high background noise rejection. It is convenient when you cannot place the mic close enough to the sound source. The MMP-B preamplifier is best if you want easily accessible high boost and low cut switches. The d:dicate™ 4017B Shotgun Microphone features two onboard filters. They are activated via an ingenious switching ring design. With a simple twist of two sturdy rings, engineers can implement a high-frequency boost that adds a 4 dB shelf at 8 kHz. This compensates for hi loss when used with windjammers. 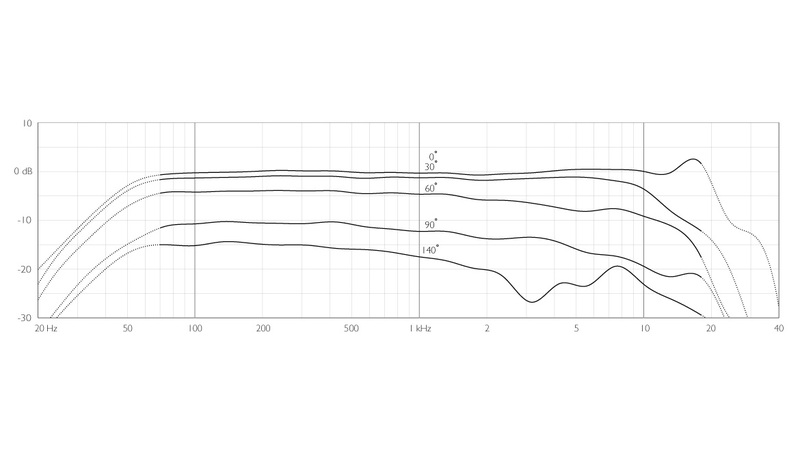 A first-order bass roll-off below 120 Hz minimizes handling and wind noise. A permanent third-order high-pass filter at 50 Hz effectively removes unwanted low frequency disturbance from handling and wind noise. The d:dicate™ 4017B Shotgun Microphone is also available with Rycote Windshield and suspension system – a fully-packed and ready-to-go solution. At any time, and with no tools needed, it is possible to transform the d:dicate™ 4017B Shotgun Microphone into a new configuration. You can combine it with another d:dicate™ or d:facto™ Microphone Capsule or Preamplifier.